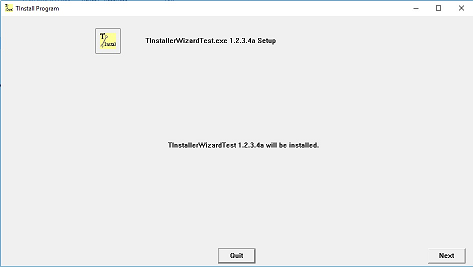 T-Installer Wizard is a lightweight portable application with one screen to create installation files. It does not require any coding, everything is done on one screen. Commonly used options are included. It shortens the preparation time for distribution. If an application package has sophisticated directory structure and needs to use Windows Registry, the application becomes non-portable. Installation process creates the directory structure, puts files in the right locations and creates entries in the Windows Registry. Start Menu and/or Desktop shortcuts can be created. If an application is installed, it is right way to include uninstall utility to remove the software package and related data form the computer. Portable application does not normally require installation although it is always possible to use installation utilities. All files needed reside in one folder. When they are copied or moved to another location, the application still runs. They use local files for configuration parameters. Nothing related to an application is written in the Windows Registry. In order to remove a portable application from a computer, the application’s folder is simply deleted. Maximum number of files excluding Main (Executable) File is 1023. Maximum Size of a file is 4GB. Maximum size for the Installation File is 4GB. Maximum number of directories is 1023 excluding the parent directory. 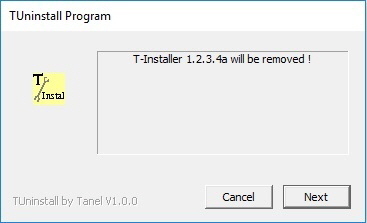 The installation file was created by using T-Install Wizard. Although, it is portable application, it will be installed to have shortcut to be added to the Start Menu. The installation process is fast and straight forward. TUninstaller is provided as part of the installation process. 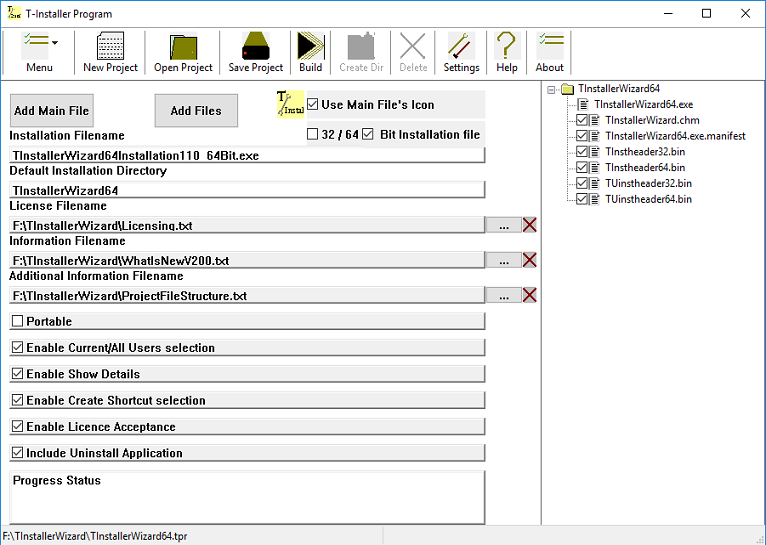 The TInstall utility automatically acquires “admin” rights even if the User does not have.